Home | About Goa | Beaches | Towns | Hotels | Restaurants | Travel info. 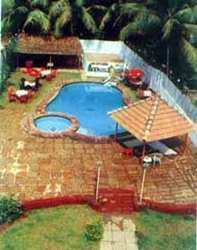 | Shacks | More Info..
Goa...... The pride of every Goan-a land of warmth and hospitality, of palm trees and sun kissed azure beaches, where the waves lap gently to caress the golden sands. Step onto the sands of Colva Beach-the pride of Goa-where the spirit of the sea mingles with the spirit in your heart and stirs the music in your soul, carving out true holiday. 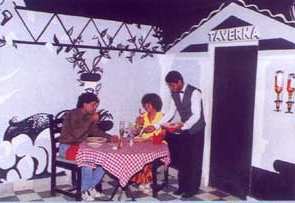 memories of a Just 2.5kms away from the beach is an extension to that holiday spirit-THE HOTEL COLVA PLAZA. A haven ,where an ambience of warmth and hospitality reigns. 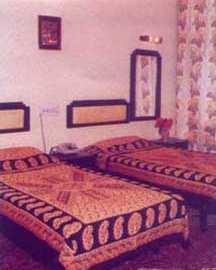 The Hotel Colva Plaza operates on a very personalized service and ensures all the comforts you would desire whether on a holiday, business or simply looking for an excuse to get away from the pressures of city life. 32 Kms away from Panaji (the capital of Goa). 17 Kms away from Dabolim Airport. 2 Kms away from Margao Kadamba Bus stand. BAR & RESTAURANT: Garnish your holiday with the delicacies of Goan cuisine and tickle your taste buds at the APPETIDE, the In-house restaurant, which offers you a wide variety of Indian, Chinese, Goan and Continental cuisine. Line your lunches and dinners with choicest liquors and Goa's traditional 'Feni'. For a dash of that extra holiday touch -the Colva Plaza brings you a Bar-B-Q night at the poolside bar&restaurant right under the canopy of Goan skies that are studded with an array of stars and stained with the most vibrant colors. © designed by: Global Network Solutions. All rights reserved.